Eldritch – eerie, spooky; sinister or ghostly; uncomfortably weird. I have previously described the challenges that seasonality creates for the dairy industry. For New Zealand’s red meat industries, those issues are even more constraining. It is a key part of the reason why restructuring the meat industry is so challenging. Sheep are designed by nature to give birth in the spring, and their fertility is much reduced at all other times of the year. Given that the market predominantly wants carcasses of 17 – 20 kg, this means that most lambs are ready for slaughter between December and April, with the peak slaughter in a shorter period from January to March. In practical terms, this makes impossible the development of a mainstream consumer products industry based on a 12 month supply of chilled lamb. Trying to configure the national industry in this way would lead to exorbitant production costs. . . .
A new report shows the gross domestic product of the Nelson Tasman region could be lifted by more than $54 million if a proposed dam is built. The analysis by the New Zealand Institute of Economic Research has been released during a public consultation of Tasman ratepayers into the possible funding models for the Waimea Community Dam. The report’s author, senior economist Peter Clough said his analysis suggested the benefits of the dam would more than cover the cost of its construction. Nelson Economic Development Agency chief executive Bill Findlater said the Lee Valley project definitely stacks up. . .
Federated Farmers and Irrigation NZ have released more details about the free “Ruataniwha – it’s Now or Never” event, taking place from 7pm next Tuesday (4 November), at the Waipawa/Central Hawke’s Bay Municipal Theatre. “It is definitely not going to be a theoretical discussion about economic models, but real world examples of farmers and schemes with costs similar to what the Ruataniwha Water Storage Scheme proposes,” says Will Foley, Federated Farmers Hawke’s Bay. “Instead of talking about an economic model, we’re bringing up farmers involved in the comparable cost North Otago Irrigation Company scheme and Mid-Canterbury’s BCI scheme. . .
West Otago sheep and beef farmers Nelson and Fiona Hancox want farmers to ”stand up and be counted” and take charge of their futures. The couple, who are both passionate about the red meat industry and are involved with various groups and industry bodies, believe it is time for farmers to take control. Mrs Hancox was nominated to attend the 2014 Rabobank Global Farmers Master Class in Australia next month, where she would have been joining farmers from around the world. . .
Maori agriculture has “huge” potential for development but only 20 per cent of farmland is well developed, 40 per cent is underperforming, and 40 per cent is under-used, says a Massey University academic. Lecturer and researcher and Kaiarahi Maori Dr Nick Roskruge said about 720,000 hectares of Maori land was farmed, returning $750 million a year, but its short-term potential was $6 billion. Maori are most strongly represented in the sheep and beef cattle sectors, with dairying becoming increasingly important. About 15,000 Maori are employed in the sector. . .
Rambunctious is the best name for this ram. He’s a big bruiser, used to getting his own way, and he doesn’t like being manhandled. He struggles out of Peter Tod’s grip and makes a break for freedom. But the Otane farmer’s determination is stronger and the ram is wrestled into submission for a photograph. He is picked out from a small mob as the most photogenic because of his open face, long back, well-shaped legs, sound feet, and meaty hindquarters. . .
1. Who said: Patriotism is your conviction that this country is superior to all other countries because you were born in it.? 2. Who wrote the poem Dulce et Decorum Est and what is it’s final line? 3. It’s pays in French, paese in Italian, pais in Spanish and whenua in Maori, what is it in English? 4. When was New Zealand’s current flag officially adopted? 5. Do you want a new flag and if so what should it look like? J Bloggs got four (though I’m in favour of a change of flag). JLG wins a virtual batch of blue cheese asparagus rolls with five right. Grant also wins a virtual batch of blue cheese asparagus rolls for five right (giving a point for background information, if not a date for #4). And Alwyn also got a clean sweep and a virtual batch of blue cheese asparagus rolls. Green MP Steffan Browning says giving his support to a call for the World Health Organisation to deploy homeopathic remedies to combat the Ebola epidemic in West Africa was ‘probably pretty unwise’. Mr Browning this week signed a petition started by Australian Fran Sheffield which calls on the World Health Organisation (WHO) to “End the suffering of the Ebola crisis. 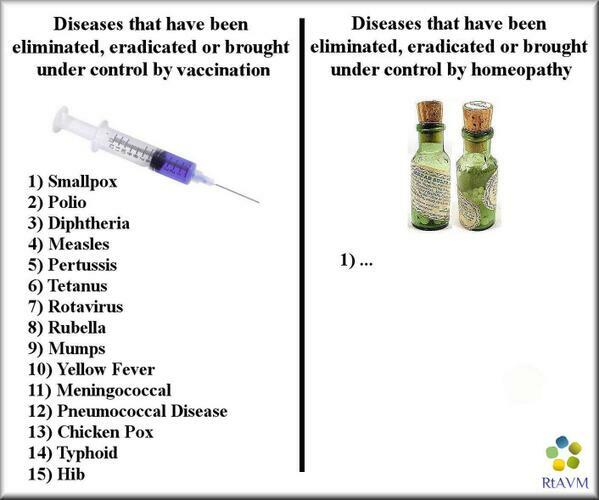 Test and distribute homeopathy as quickly as possible to contain the outbreaks.” . . . Asked whether he thought homeopathy could cure Ebola, Mr Browning said: “It’s not for me to go down that track at all. “Internationally homeopathy is considered in some places.. I am not an expert but I assume they will look at that as much as a number of other options.” . .
Employment reforms which passed into law yesterday are part of National’s plan to create a fairer, more flexible labour market that helps lift earnings and create more jobs. Our employment law reforms will extend the rights of employees to ask for flexible work arrangements, including from the start of their employment. Current legislation only provides this option for those with caregiving responsibilities. The law needs to reflect the diversity of different people’s employment needs in the modern, fast-changing economy in which we live. We believe all employees and employers should be able to agree on flexible work practices that suit both parties. Lowering compliance costs for small-to-medium sized businesses helps them to focus on expanding their business and creating more jobs. Last year 83,000 more jobs were added to the New Zealand economy, our unemployment rate continues to be lower than most OECD countries, and we have raised the minimum wage every year we’ve been in office. We need to keep building that momentum to help even more Kiwis into work. A return to good faith bargaining during employment negotiations will help prevent unnecessary, fruitless, and protracted collective bargaining that can create uncertainty for employees and employers. Our changes will give new employees more choice by no longer being forced to take union terms and conditions for their first 30 days of employment. Requiring parties to provide notice of a strike or lock-out will mean both employees and employers aren’t able to unduly disrupt the running of a business. Enabling employees and employers to agree on flexible arrangements that work for both parties will help to lift productivity, growth, and incomes. We’re maintaining the key protections for employees at work. Contrary to the politically-motivated claims of opponents, relaxing the current over-prescriptive and often unworkable provisions around rest and meal breaks does not override any requirements for breaks to be provided. We’ll also place clearer expectations on the Employment Relations Authority to ensure rights are upheld and timely resolution of disputes. The opposition and unions are doing their best to show that workers should fear the changes. On the contrary they should celebrate the flexibility. It is possible that a few employers will use changes to exploit staff. That is always a risk but it’s not a reason to handicap the majority of employers and their staff with inflexible rules which add costs and hamper productivity. 1863 The Land Wars resumed as British forces in New Zealand led by General Duncan Cameron began their Invasion of the Waikato. 1938 Great Depression: In an effort to restore investor confidence, the New York Stock Exchange unveiled a fifteen-point programme aimed to upgrade protection for the investing public. 1943 World War II: An F4U Corsair accomplished the first successful radar-guided interception. 2000 – Soyuz TM-31 launched, carrying the first resident crew to the International Space Station. The ISS has been continuously crewed since. 2011 – The global population of humans reached seven billion. This day is now recognised by the United Nations as Seven Billion Day. Efflorescence – the action or process of developing and unfolding as if coming into flower; blossoming, blooming, period or state of flowering; fullness of manifestation; the loss of water (or a solvent) of crystallization from a hydrated or solvated salt to the atmosphere on exposure to air; a whitish, powdery deposit on the surface of rocks or soil in dry regions; the process of efflorescing and the powder or crust so formed; a redness of the skin or an eruption (as in a rash). You are currently browsing the Homepaddock blog archives for October, 2014.